Let’s take a moment to talk about Fusion Extensions. One thing that I enjoy most being a hairstylist, is being able to change my hair whenever I want! I can go from short to long in a matter of minutes. Hairdreams and Great Lengths make it possible for me to change my look, color, and style. I’ve invested my time and money with top brands because it’s important that at Mane Atelier we offer our clients only the best! Fusion extensions can be used by someone who has medium to thick hair. The process usually takes anywhere from 3-5 hours. Depending on what look the client is wanting to achieve. Hairdreams has customized bonds and can be ordered in 5 stars or 7-star hair. Hairdreams 5 star hair is Indian Remy hair. Hairdreams 7 star hair is European hair. The 7-star hair can be used up to 3 times. The client will save 20% off the cost of new hair by sending it to Hairdreams to get rebounded. Great Lengths supplies incredibly healthy hair extensions, totally ethical, traceable and in a wide range of rich and vibrant colors which guarantee versatile satisfaction and creativity to you and to hair stylists. Great Lengths is Indian hair and is sourced from India. The bonds are customized by the stylist. With Hairdreams we use a machine which heats up no higher than a flat iron. We use the tongs to melt the nylon thermal plast bond and fuse it to the client’s hair. Great Lengths has their own machine which uses frequency to heat up the bond from the inside out. It would be a cold fusion technique that would be used on the client. The end result is a beautiful, seamless look. The fusion method will last approximately 4-6 months depending on maintenance at the salon and at home care. Another benefit of wearing fusion extensions is that you’re able to put your hair in any style because you will have a complete 360-degree motion without causing any tension to your hair. Mane Atelier offers complimentary consultations. 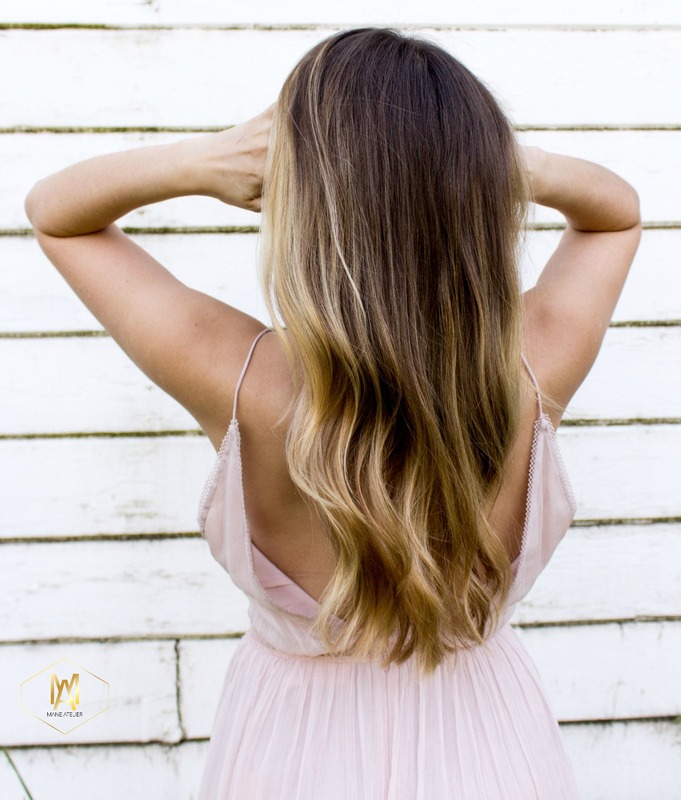 Book a consultation with one of our hair extension specialists to discuss what fusion hair extension service would work best for you and your life style. Who Can Wear Tape in Extensions?